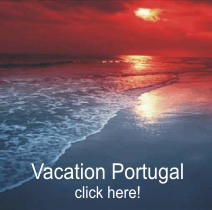 Whether you are looking for an apartment, a holiday home, a luxurious villa with pool, a country estate, a traditional farmhouse, a coastal view of Portugal coastline or prefer the peace and quiet ... Select from our real estate portfolio and our professional Real Estate Team will help you all the way through : from your enquiry and viewing right to the purchase and beyond. Golfers – villas right on the fairway, sun-worshippers – a beachfront residence or if you are looking for tranquillity, we can offer you anything from a cottage to a country estate or manorhouse. Whatever your Real Estate needs – we are here to help! 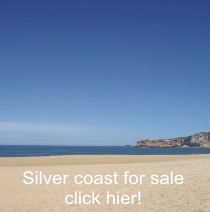 Real-estate-portugal.com recommend MILLENIUMbcp Bank for all your Mortgage needs. Millennium bcp is strongly positioned in the Portuguese mortgage market, currently standing at number two overall and in first place for underwriting new credit. Growth in mortgage lending has been the main reason for the increase in Millennium bcp's retail lending in Portugal. This development has been achieved by innovation, quality of service and competitiveness. The variety and originality of the various mortgage credit solutions offered by the bank have been appreciated by the market. Attention given to the needs of our clients has called for special care in the launching of new mortgage products, matching the requirements of each segment. The creation of these products is carried out on the basis of the client profile, with the objective of exceeding the clients' expectations and obtaining high levels of satisfaction. § An efficient distribution systemhas also contributed to the strong reception given to these products by clients enabling the bank to surpass its annual objectives with ease in this area of business and consequently increase its market share in mortgages, placing it on the same level as its share of the banking sector as a whole.